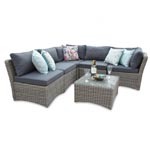 The Ascot Rattan Sofa Set designed by featureDECO features the thickest grade of chunky rattan fibres which complements the block design in every way. 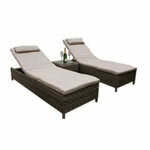 The set looks great when set up as a corner suite, but equally at home as a daybed. 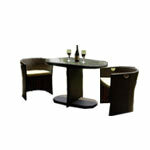 The armchair adds character and the feature dining table gives you enough space to dine with your friends. 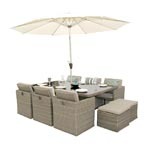 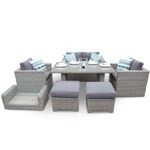 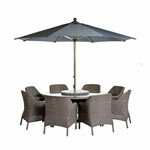 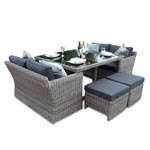 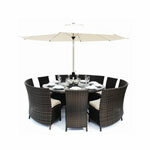 Experience a truly amazing outdoor living experience with this imposing modular outdoor rattan Ascot set. 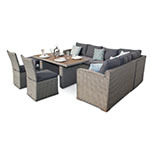 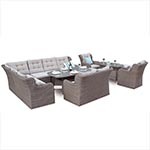 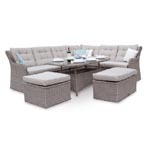 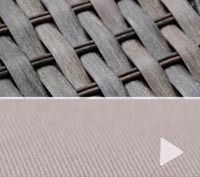 The luxury patio rattan furniture modular corner dining set features premium quality rattan material complemented with deep filled base and back cushions. 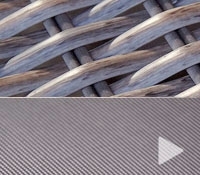 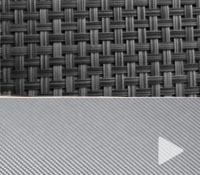 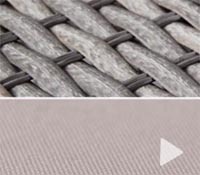 The unique mix tone fibre consists of mixed tones of grey and cappuccino greys to give the set a deluxe look and feel. 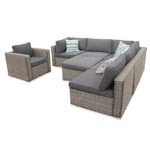 This set can accommodate 7 people and the sofa units are supplied fully assembled and completely maintenance free. 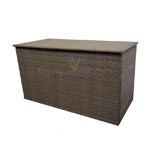 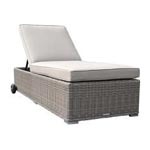 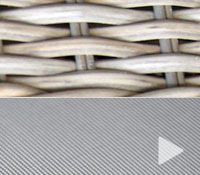 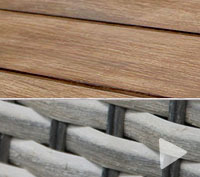 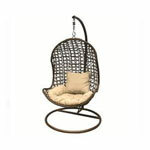 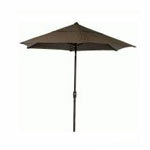 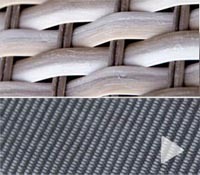 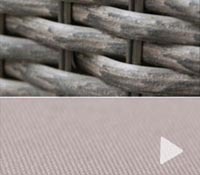 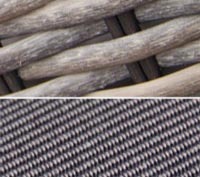 It is beautifully crafted furniture with high grade PE extra wide resin rattan woven over a rust proof aluminium frame. 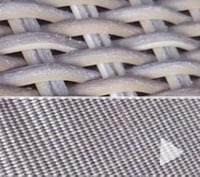 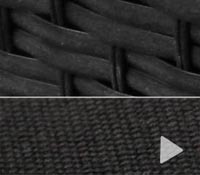 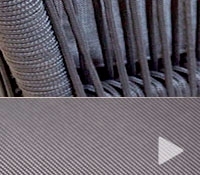 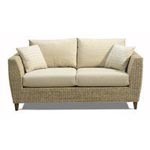 The plump dark grey cushions are extra thick for extra comfort which can also be removed for machine washing. 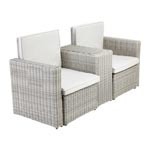 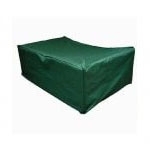 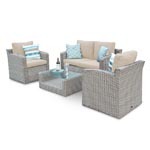 This luxury garden rattan corner sofa set would be perfect for your garden or patio. 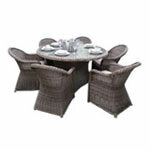 - 1x Square Dining Table - This is the Nottingham Table which has flat weave. 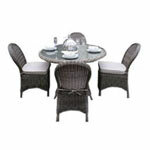 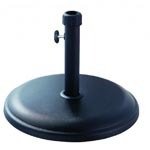 Lazy susan not included. 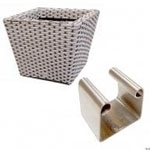 This optional extra.